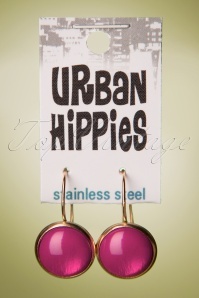 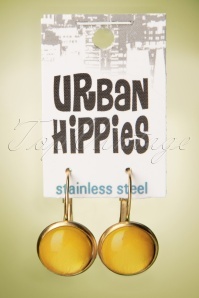 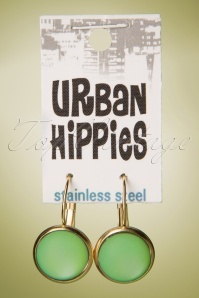 These 70s Linda Leaf Earrings in Mustard are a real retro must-have! 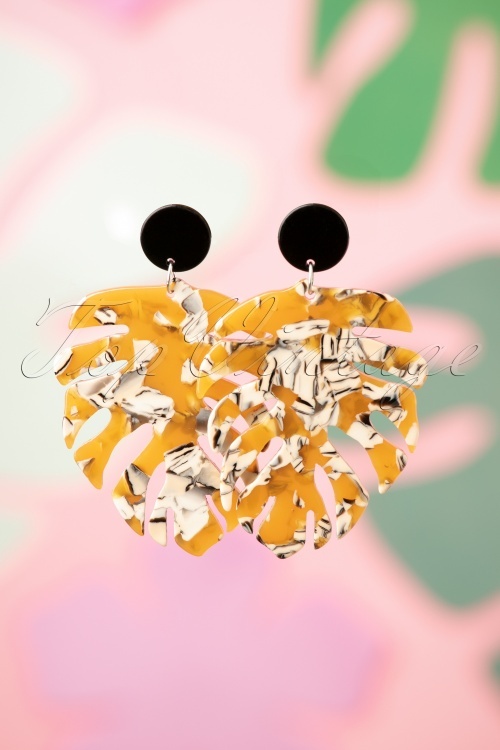 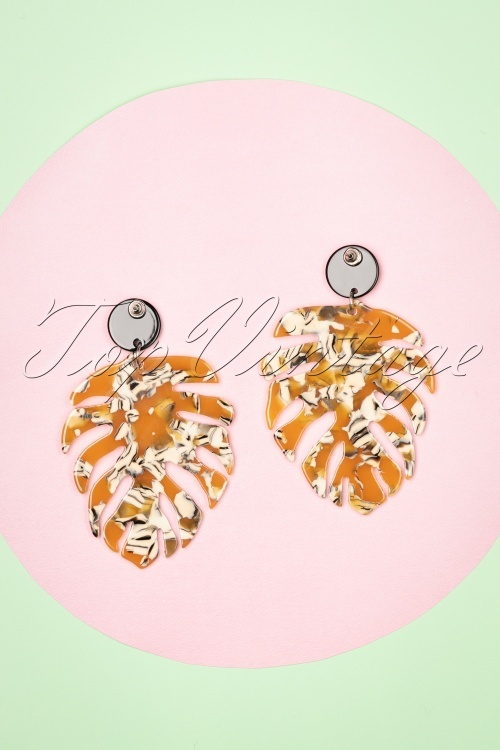 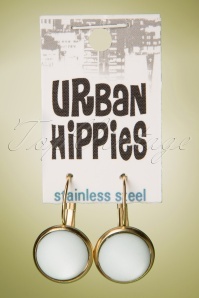 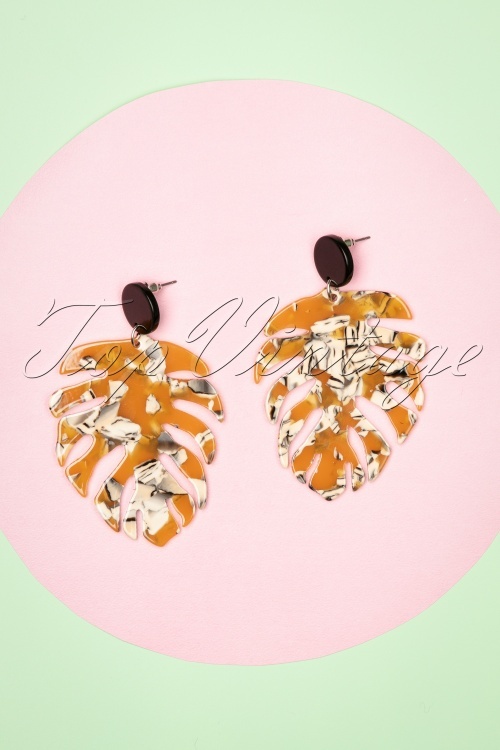 These eye-catching earrings are made of black plastic with a leaf-shaped pendant marbled with mustard yellow and cream. 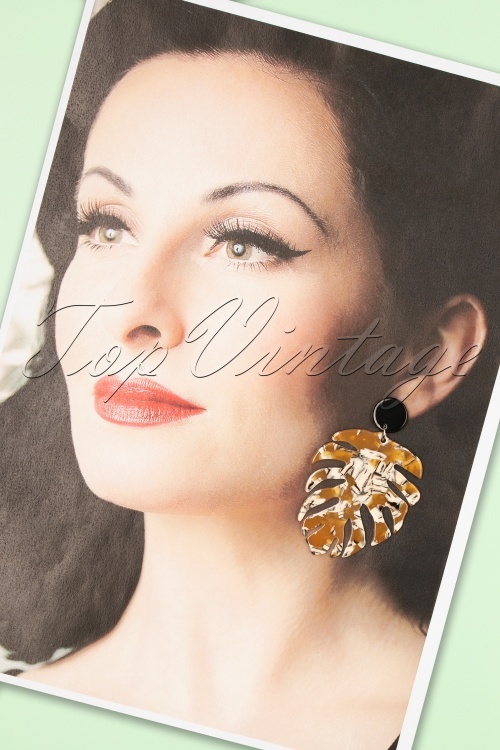 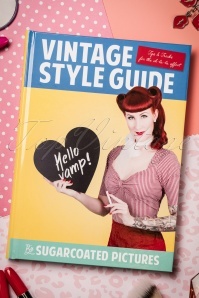 Seventies chic at its best!